The best brands are simple ones. The University of Nevada, Reno had a problem. They had a logo that was giving them fits. The Reno marketing agency known as Rhino Hub came up with the answer. This is one of the smartest and simplest things we’ve done. 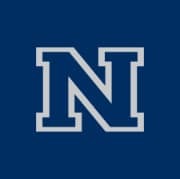 After UNR tried countless logos over the years unsuccessfully, we were challenged to fix it. We asked ourselves. “Would Notre Dame change their logo?” We don’t think so. We dug through the history books and found the original logo and gave it an update. An identity that is “on brand” is one that remains on target. By establishing a brand standard book for the university, we’ve helped every department across the campus get on the same page in terms of what identities to apply. The result is a cohesive voice from an authoritative resource.